The second presidential debate moderator Candy Crowley was heavily criticized this morning after appearing to side with Barack Obama during last night’s debate. CNN’s chief political correspondent Candy Crowley told Mitt Romney that he was wrong about remarks Barack Obama had made last month in the aftermath of the attacks on the U.S. consulate in Libya. During a question about security at the Benghazi consulate, where four American officials were killed, including the ambassador Chris Stevens, on September 11, Barack Obama said he was ultimately responsible as commander-in-chief. Mitt Romney then questioned whether Barack Obama had called the consulate attack an “act of terror” in his Rose Garden address the following day. While Barack Obama cut across Mitt Romney – saying “look at the transcript” – Candy Crowley then seemed to back up the President, telling the Republican governor that Obama did “call it an act of terror”. Her interjection angered political commentators, who said she had stepped in on behalf of the President. Breitbart editor Ben Shapiro called the moderator’s reactions a “disgrace” while his colleague John Nolte said Candy Crowley “lied to save Obama”. Candy Crowley often struggled to control the candidates as they spoke over each other amid angry exchanges. Barack Obama then said: “Can you say that a little louder, Candy?” to laughter and applause from the audience. Many commentators have said that while he did use the phrase he did not explicitly say the killings were the result of terrorist action. The attack on the U.S. Consulate in Benghazi was a talking point again during Vice President Joe Biden’s debate last week. Joe Biden claimed in the debate with Republican VP nominee Paul Ryan that “we weren’t told” about requests for extra security at the consulate. On Monday, Secretary of State Hillary Clinton was forced to come to his defense. Pushing back against Republican criticism of the Obama administration for its handling of the situation, Hillary Clinton said that security at all of America’s diplomatic missions abroad is her job, not that of the White House. The Libya question was one moment when Candy Crowley struggled to rein in the debate on Tuesday night. Candy Crowley failed to shut down both Barack Obama and Mitt Romney when they ran over allocated times and attacked each other in angry exchanges. The President got 44:04 minutes of speaking time, while Romney got 40:50. 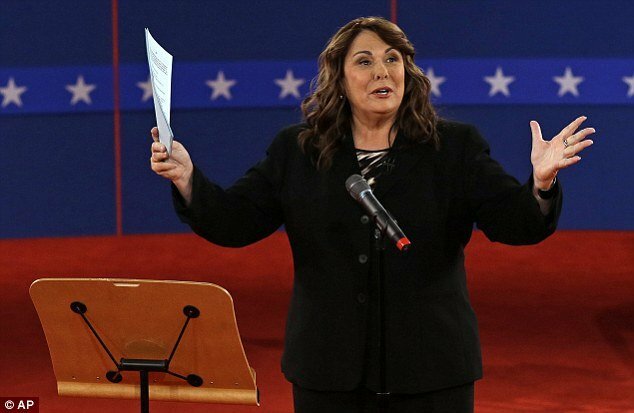 Barack Obama and Mitt Romney had both revealed their concern over Candy Crowley ahead of tonight’s second presidential debate because she was robust in saying beforehand that she would not shirk from guiding the debate. Lawyers for both Democratic and Republican campaigns complained about comments the CNN journalist made ahead of the town hall-style debate at Hofstra University in Hempstead, New York tonight. Her job was to referee the two presidential candidates as they answered questions from online viewers and members of the audience. But in an interview, she indicated that she planned to take a more aggressive stance than the last moderator Jim Lehrer who was roundly criticized for a listless performance and letting Barack Obama and Mitt Romney walk all over him. Where PBS veteran Jim Lehrer said his job was to stay out of the way, Candy Crowley’s planning a different set of tactics. Both candidates appeared less than pleased with her remarks – and they weren’t the only ones. The Commission on Presidential Debates has also complained, saying Candy Crowley’s remarks are vastly different from the memo that was signed by lawyers for both campaigns. “In managing the two-minute comment periods, the moderator will not rephrase the question or open a new topic,” the legal document obtained by Time says. The political heat already facing Candy Crowley shows just how much rests on the second televised debate for both candidates. Candy Crowley is the first CNN anchor to moderate a general election presidential debate since the 1988 face-off between George HW Bush and Massachusetts Gov. Michael Dukakis.